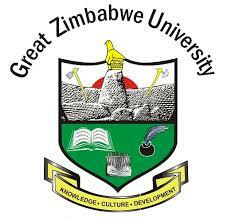 Masvingo – Comfort Masasi (22), a student at the Great Zimbabwe University has been slapped with a one month jail term or $80 fine after he was found guilty of defrauding a tuck shop operator using an EcoCash transaction. Masasi of Pangolin in Masvingo pleaded guilty as charged when he appeared before Magistrate Rufaro Mangwiro. who slapped him with a fine of $80 for defrauding a retail outlet of groceries worth $71, 75. Prosecutor Andrew Ndaramira said on March 13, 2019, Masasi approached Tinashe Makufa with the intention of deceiving him. He ordered 2kg flour, 2kg Maq washing soap, one loaf of bread, four litres cooking oil, 8kg sugar, and two bars of green washing soap all valued at $71,75. Masasi was caught when the tuck shop attendant demanded to see the EcoCash transaction on the phone. He realised that the message was fake. Makufa informed his employer, Simbarashe Maramba who then escorted the accused to ZRP Chikato leading to his arrest and all goods were recovered.